Vanities, as pretty as they may be, are a bit grandmotherly. Few of us have the space or the décor style to support a table with multiple drawers, a tri-fold mirror and upholstered stool. Fortunately, there are modern alternatives that will keep your makeup and accessories organized. Scroll down to check out five of our favorite options, all priced under $500. Why waste precious floor space when you can mount your furniture? 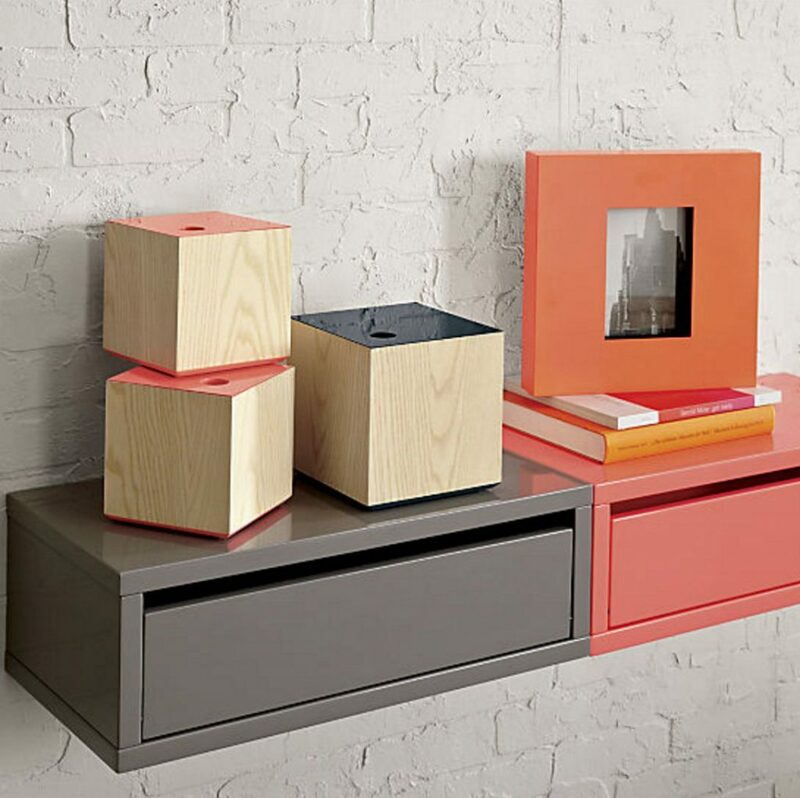 This floating storage shelf features a flip-down door and high-gloss finish. Mount two side by side for additional countertop space. Bar carts aren’t just for booze anymore. 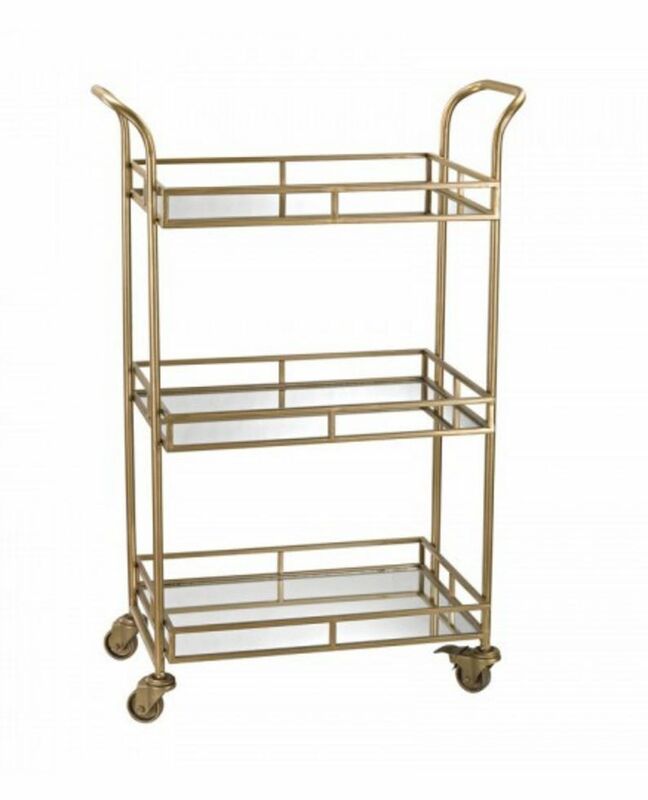 A three-tiered bar cart is perfect for arranging perfume bottles, nail polish, makeup, grooming tools and more. Plus, you can wheel it around to whichever room has the best natural lighting. Okay, we know IKEA is cheap but this tempered glass and steel laptop table has to be one of its best deals. There are so many hacks out there, including this rustic looking wood-topped vanity and this ultra-glam faux marble creation. 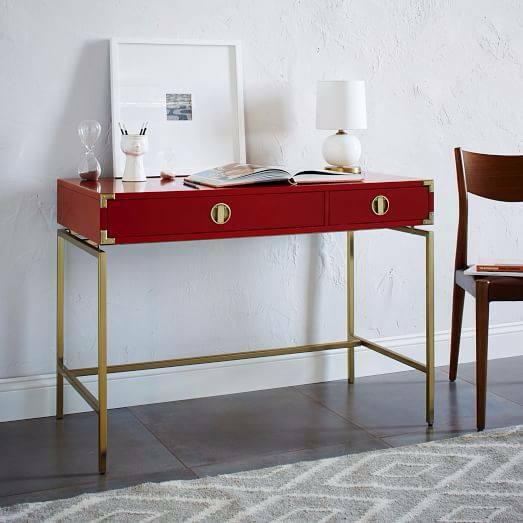 Go for a gilded look with this lacquered desk featuring two sliding pull-out drawers and plenty of legroom. 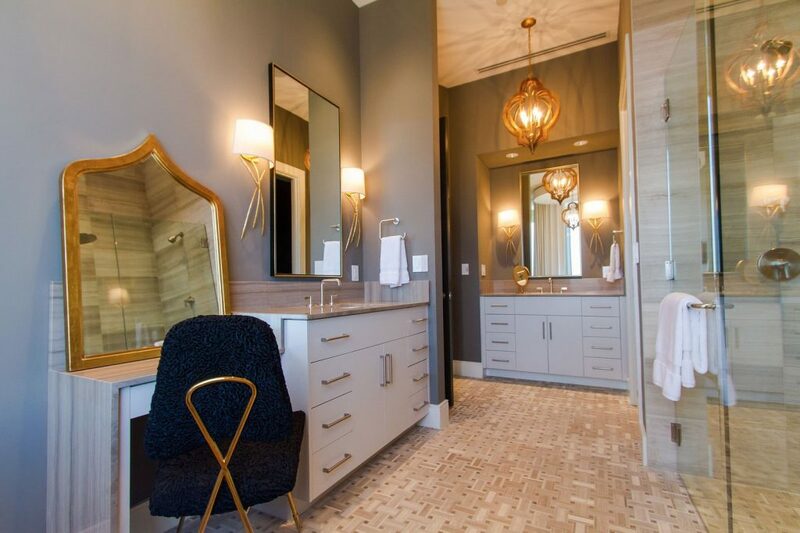 Hang a statement-making mirror above it to put the finish touch on your vanity space. 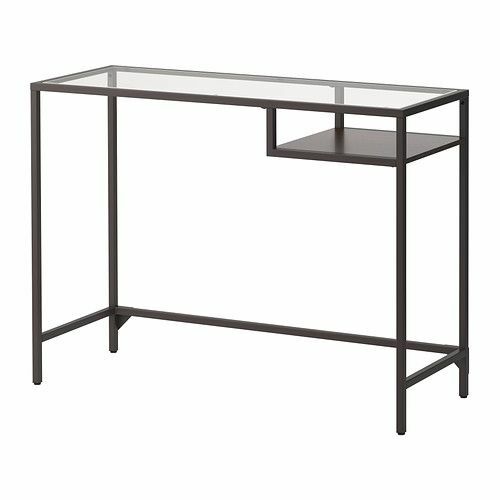 Console tables are a sleek and slim option for condo dwellers. 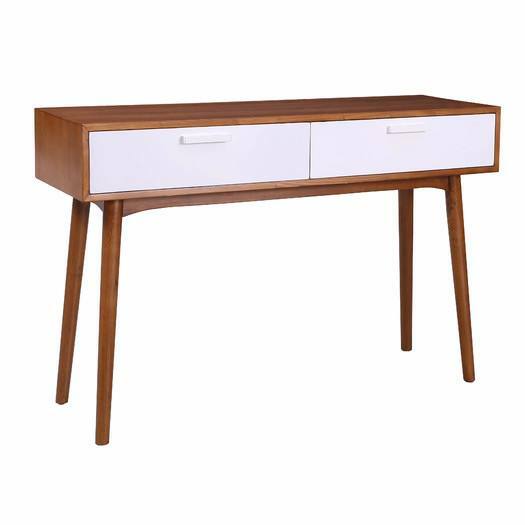 This mid-century design is made of elmwood and high quality MDF veneer. Choose from an aqua, black, natural or white accent color. We recommend pairing it with a folding chair that you can hang on the wall as an added space-saving measure.